If the NBA is going to play host to another blockbuster deal ahead of the Feb. 23 trade deadline, it won’t include Jimmy Butler. The Bulls are telling other teams that everyone except Jimmy Butler is available for trades and believes the team is more inclined to move Nikola Mirotic or Taj Gibson. All of this makes sense. Both Taj Gibson and Nikola Mirotic (restricted) are slated to be free agents, while Butler is signed through 2019-20 (player option) on a pre-salary-cap-boom deal. And after seeing what the Sacramento Kings netted for DeMarcus Cousins, another top-10 player, it’s natural that the Chicago Bulls would be a little bit skittish when it comes to fielding offers for their best player. Remember: The hardest part of any NBA rebuild is getting a top-10 player. The Bulls already have one, and he’s neither on the back end of his prime or nearing free agency. It makes sense to keep him. Perhaps we’ll hear more on the Jimmy Butler front over the offseason, at which time the Boston Celtics, following free agency, should be more inclined to dangle one or both of their Brooklyn Nets picks (one of which will be an actual player at that point). 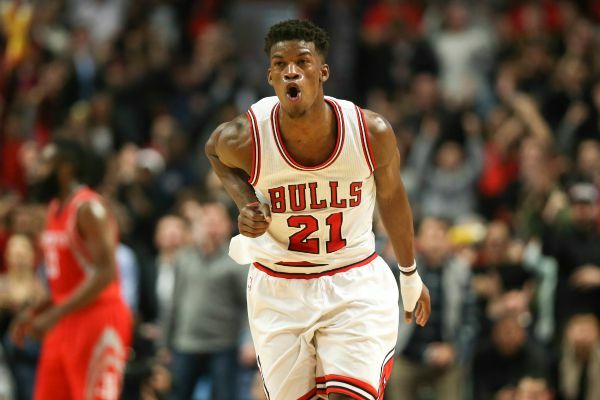 Until then, we assume the stance we’ve taking for months: All Butler rumors are just noise unless something drastic proves otherwise.